Camille De Rijck has been announced as the Belgian commentator for the first edition of Eurovision Choir of the Year in Riga, Latvia. Camille De Rijck will be providing the commentary for Belgian views via both radio and television for the first ever Eurovision Choir of the Year. Camille De Rijck is a well known radio personality having presented La Matinale on Musiq’3 since 2012. He has also been heavily involved in the production of cultural documentaries and profiles for RTBF. 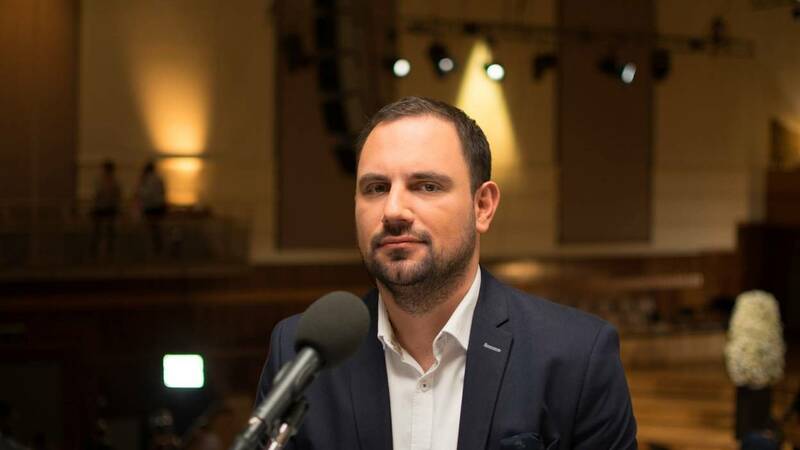 Belgium has already set their sights on long term participation in the event with Musiq’3, the broadcaster in charge of participation, stating that their goal is to hold a pre-selection for future editions of the competition. This year only Wales and Latvia have opted to hold selection processes for the competition, with only Latvia’s selection process being specifically created for the competition. To support a youth choir of our Federation is very much part of our missions. Since there are many adult choirs, we found it interesting to have a children’s choir . As with Eurovision, when a channel proposes an artist, it promises to have full support, and Les Pastoureaux already have a good history with the RTBF. The Choirs competing in the contest will perform once for up to 6 minutes. The performance can include one or several works, of any genre, and “should in part reflect national or regional character in some way”. The winner will be decided by a three member jury, on the jury are; Elīna Garanča (Latvia – Mezzo-Soprano), John Rutter (United Kingdom – Composer) and Nicolas Fink (Switzerland – Conductor).